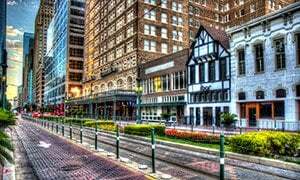 Spring is a 23.6-square mile CDP (census-designated place) located about 24 miles north of Downtown Houston. Spring is some miles outside of Beltway 8, nestled west of I-45 and north of FM 1960. The community sits south of Spring Creek, a few miles south of master-planned community The Woodlands. Previously a switchyard for the International and Great Northern Railroad of 150 residents, Spring is now home to more than 50,000. The Spring CDP features several restaurants, retail centers, bars, cafes, parks, and schools. Spring homes are minutes away from the Cypresswood Golf Club, the Spring Creek Greenway, and the Spring Trails Preserve. 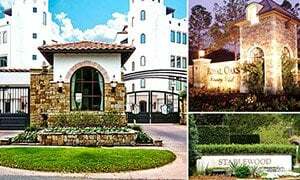 Key business and employment centers in The Woodlands and Downtown Houston are also highly accessible from Spring homes. Homes in the Spring CDP are zoned to the Spring Independent School District. 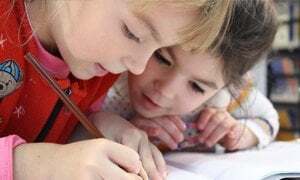 Some homes with Spring addresses are served by schools from Klein ISD and Conroe ISD. Spring is made up of several smaller neighborhoods and communities. Spring features a wide selection of homes, from updated ranch-style homes to new construction two-story homes. The typical Spring home features traditional aesthetics, with a 4-bedroom floor plan. Lot sizes can range between 5,000 to more than 10,000 square feet. Prices for Spring homes for sale are between $100,000 to $1.5M. I am interested in Spring East and would like to get more details. 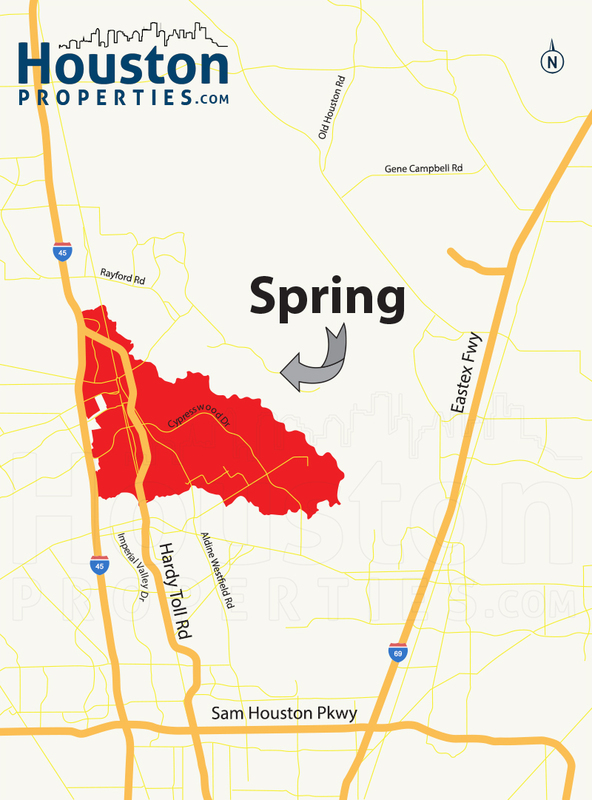 Spring TX is census-designated place (CDP) located outside Beltway 8. 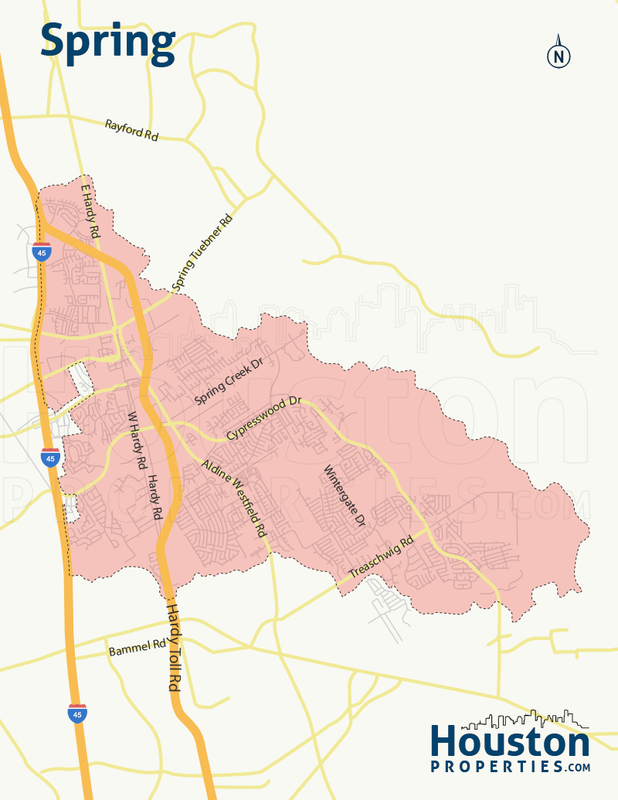 The CDP is nestled in the area north of FM 1960, east of I-45, and west of US 59. Spring’s north borders follow the contours of Spring Creek. Made of several smaller communities, the CDP covers a 23.6-square mile area about 24 miles north of Downtown Houston. The Woodlands is a few miles further north of Spring. Spring homes are centrally located near schools, parks, outdoor activity venues, restaurants, bars, and retail and entertainment centers. Thanks to the CDP’s proximity to main thoroughfares and freeways, residents are mere minutes away from key Houston neighborhoods and other communities. Spring features a number of parks and green spaces, including the Cypresswood Golf Club, the Spring Creek Greenway, and the Spring Trails Preserve. 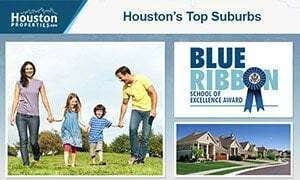 Most homes in the Spring CDP are served by schools from the Spring ISD. 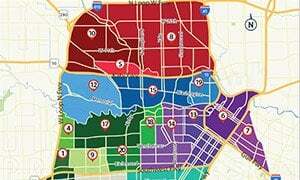 Homes with Spring addresses outside the CDP are zoned to Klein ISD and Conroe ISD. Spring features a wide selection of single-family homes. Traditional and ranch-style homes are common in the area, some of which date back to the 60s and 70s. Apart from the updated homes, new construction 2-story homes are also available. Spring homes usually feature 3- to 4-bedroom floor plans, with 1,500 to 4,500 square feet of living space. Lot sizes are typically between 5,000 to more than 10,000 square feet. Homes in the area start at around $100,000. Spring luxury real estate can go for more than $1,500,000. 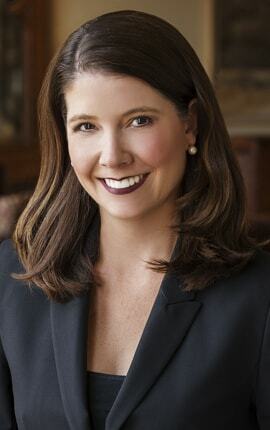 Paige and her team of top ranked Spring realtors work with a tremendous number of buyers and sellers within Houston.